Did the economic and financial crisis and the affiliated refugee crisis moreover revealed a pertinent moral crisis in Europe? 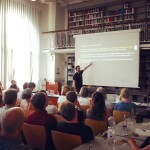 Under the direction of Prof. Dr. Dr. h.c. Julian Nida-RÃ¼melin, Chair of Philosophy and Political Theory and ret. 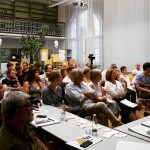 Minister of State of Arts, the German RE.CRI.RE project team of the LMU Munich held the first working seminars in Germany on Wednesday 19th of July 2017 at the Munich Competence Centre for Ethics (MKE). 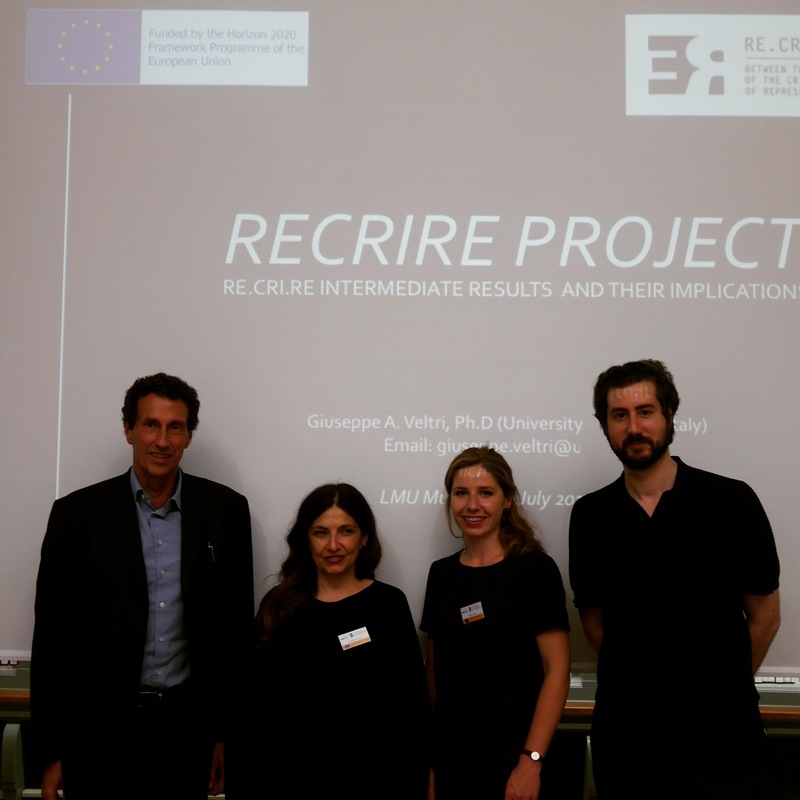 In collaboration with Giuseppe Veltri, member of the RE.CRI.RE research consortium and leader oft he second working seminar panel, more than 60 participants attended the first RE.CRI.RE event in Germany. 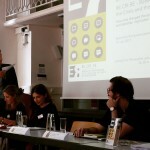 Within the topic â€œFacing the Crisis of the European Union â€“ A Diagnosisâ€ Julian Nida-RÃ¼melin opened the first working seminar panel with a keynote speech on the recent crises of the European project. Defining â€œcrisisâ€ and â€œpolitical identityâ€ at first, he then bridged the analysis revealing the crisis of an â€œEuropean identityâ€. To overcome these major challenges throughout the European crises, he finally exposed four main aspects, which were adjacent widely approved within the audience: (1) differentiation (five steps of European integration), (2) two-way-principle, (3) devolution and integration, (4) European Democracy as a form of life. Presenting the RE.CRI.RE project for the first time in Germany, Fiorella Battaglia, coordinator of the LMU team, then started with an analysis of challenges and expected impacts of the initial call of the European Commission on â€œEuropean societies after the Crisisâ€. 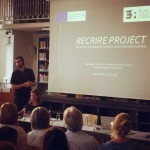 The answer to this topic, the EU funded project â€œRE.CRI.RE – Between the Representation of the Crisis and the Crisis of Representation. How crisis changed the symbolic background of European societies and identities. Implication for policies and policy makingâ€œ was finally presented by Nicole Wloka, research fellow at LMU Munich. The main objective of the project is to analyse cultures of European societies and the impacts of the socio-economic crisis in order to frame better policies at local, national and European level. According to the European Commission and one of the major aims of the project, all of the three speakers emphasized the importance of civil society, policy-makers, academic experts and stakeholder being strongly involved in all actions of the project. 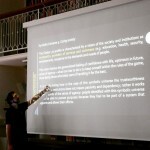 Giuseppe Veltri, member of the RE.CRI.RE research consortium and professor in Research Methodology at the University of Trento, held the second working seminar panel. Being one of the leading researcher regarding the framework and empirical database of the EU project, he focused on the RE.CRI.RE multilevel analysis of work package 3. 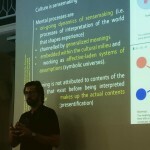 Based on the frame of culture as sensemaking, the Semiotic-Cultural Psychological Theory (SCPT), human variation and symbolic universes, he then sampled the method and main results of the project analysis of the cultural milieu in Europe. Leading to the final discussion within the plenum, Veltri concluded by presenting a general idea of tentative contributions for policy making. The lack of semiotic capital due to the crises in Europe, as one of the main accounts of RE.CRI.RE, needs to focus on supplementing grasps and tools in matters of policy and culture in Europe after the crises in order to frame better policies at local, national and European level. In accordance with the upcoming work packages of the EU project the LMU RE.CRI.RE team now takes the first feedback of the fruitful discussion in order to assess, define and validate general and context-specific policy guidelines in terms of relevance, effectiveness, and feasibility together with the stakeholders. Within the frame of the next general assembly of the RE.CRI.RE research consortium in November, the next public working seminar in Germany will take place in in the Parliament of the Federal Republic of Germany, the German Bundestag in Berlin. Full details to follow.